Water Ionizers are designed to improve the quality of most important matter supporting our lives. It is hard to overestimate the significance of water: it not only supports the functions of the body, but is also used in many areas of everyday life, like cooking, cleaning, and bodycare. Today’s ionizers are represented by a wide range of models, produced in different parts of our Earth. But how to choose the right one? RawMID Project has brought a solution by presenting a perfect water ionizer, that will answer the needs of every person, who is in search for an eco-friendly, reliable and inexpensive appliance. It is not easy to choose a water ionizer, since there are plenty of models whose price lies in range of 500-5000$. But is expensive always better? And what kind of potential harm can some ionizers bring? Large marketing campaigns lead to an enormous price increasing, and the result is – most popular brands are highly expensive, what doesn’t mean they have the best quality. Made from eco-friendly plastic, safe to use for adults and children. Changing the pH-level with no use of chemicals (sodium hypochlorite, etc.). Purchased directly from vendor, no costs added by MLM marketing. 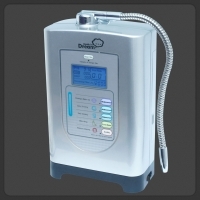 Dream Water Ionizer, made with the latest technology, embodies great performance, functionality, and reliability. Well designed, using high-end titanium plates and electronics, it is specially made for home use. Simple controls allows you to set the desired pH for a wide range of household needs. With different options available, acid or alkaline water can be produced for drinking and cooking, body care and antibacterial cleaning. Kangen Water is a registered trademark, but in fact, just the same thing as alkaline and acid water. There is no difference between, as the working principle of all ionizers is the same. Passing pre-filtering through electrolysis, purified tap water acquires a certain ORP (oxidation reduction potential). On this basis water is called alkaline or acid, and each type suits a certain purpose. 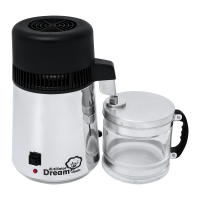 Dream Water Ionizer filtration system provides a thorough purification, preventing the contaminants and toxic elements entering the water. Dream Ionizer is reliable, comfortable to use and efficient -- the best option for home and office use! Searching for the best water ionizer? 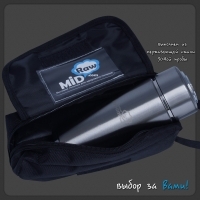 Buy a high-end model at RawMID online store! We have great prices and detailed reviews on the best health products available! Order now and choose a preferred payment and delivery method. 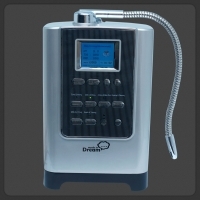 Dream Classic Water Ionizer is a perfect combination of three factors: modern filling, excellent design and low price. This multipurpose model is able to fully cover the needs of most users: the device produces both alkaline and acidic water, is connected to a regular water supply, is very easy to u..
Dream Vitamin Water ionizer is an external type model, created according modern American technology. With high-quality materials, thoughtful design, and convenient control system Vitamin Water Ionizer has clear advantages. 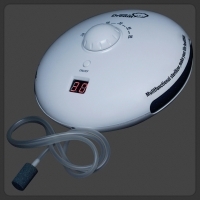 This reliable and inexpensive device is the best tool for those who want to d..
Dream Ozonator Ozone Generator is a health care product for home use. Air, water, food, and other items like clothes, tooth brushes and toys can be sterilized in short time with this amazing appliance. 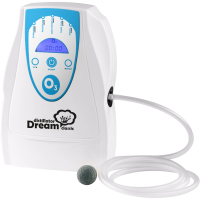 Dream Ozonator will kill harmful bacteria and viruses, free your apartment from the presents of..
Dream Ozonator Ozone Generator is a health care product for home use. Air, water, food, and other items like clothes, tooth brushes and toys can be sterilized in short time with this amazing appliance. 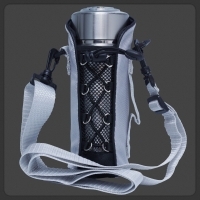 Dream Ozonator will kill harmful bacteria and viruses, free your apartment from the presents of to..
Rawmid Tourmaline Flask is the most simple and handy device for drinking water ionization. You can always have this small but efficient ionizer with you – at home, at work, on vacation and on the road. A tourmaline cup is designed to improve the water structure and enhance its positive effects on hu..